Just wanted to say thank you to all of the hard working athletes and coaches who made this Summer MTC group so special. Athletes your willingness to listen and make changes will pay huge dividends next season. Coach Storms, Coach Verhelst, Coach Ehrhorn, Coach Vaughn, Geno, Coach Campbell, Angela, Mary, Dave, Peter, Brandon - thank you for sharing your expertise with our athletes. Coach Ehrhorn works with Karen W.
Coach Storms instructing Katie B.
Geno demonstrates for Tanner R.
Landon E. working hard in the discus circle. Angela Boushea, Larry Ehrhorn, Mary Theisen, and Tyler Genovese. Thank You coaches! Great group of Hammer Throwers at MTC yesterday! The Group included some first timers learning the event. As well as KeKe Burks returning from her Frosh Year at The University of North Dakota where she broke the school record as a Freshman. Lets get back to work next week. 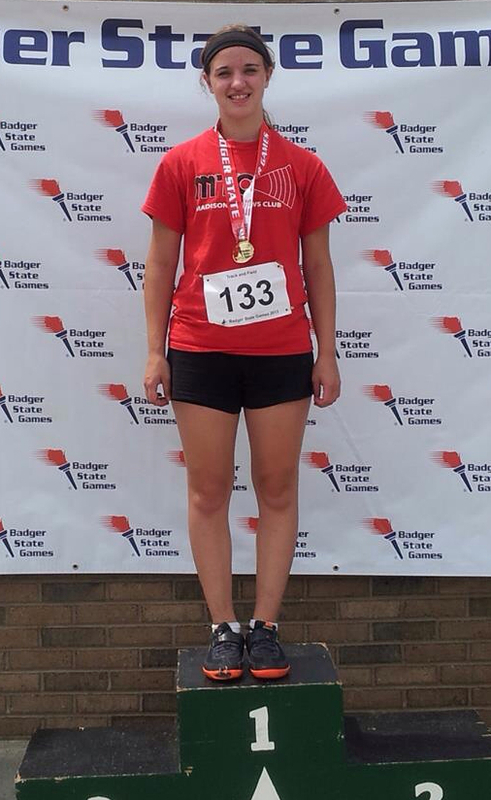 Congratulations to Chloe Eckstein, Reedsville H.S., finished 1st in her age group at the Badger State Games in Wausau, Wisconsin. Chloe, who just finished her sophomore year, P.R.d in the DISCUS with at throw of 111'5". Keep up the good work Chloe! Samantha Noennig, Hartford H.S., competed at the USATF Youth National Championships last weekend and had some strong marks. Sam, who just finished her freshman year, P.R.d in the DISCUS with a throw of 144'4" to take 3rd in the 16 and under division. 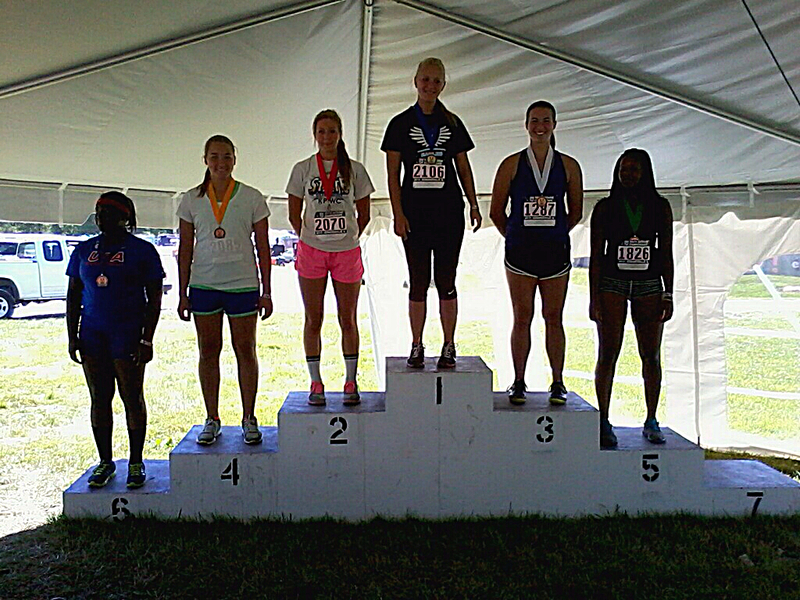 She also finished 4th in the Hammer, and 16th in the Shot Put. Amazing work SAM, competing in a National level meet, and competing well! Samantha Noennig 3rd Place Discus - 144'4"